Based on reviews from 146 experts and 2,428 users. 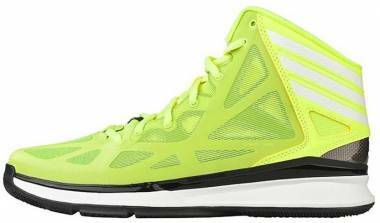 Learn how our rankings work or see our guide to yellow basketball shoes. Updated Apr 2019. Air Jordan I ‘Yellow Ochre.’ In April 2018, Jordan Brand launched a new collection to honor Michael Jordan’s greatest on-court achievements. Dubbed ‘Best Hand in the Game,’ the four-shoe set introduces new takes on the iconic Air Jordan 1 silhouette. Representing a unique milestone in Michael’s career, each colorway combines soft suede leather with the traditional ‘Black Toe’ color blocking. The ‘Yellow Ochre’ colorway celebrates Michael’s five Most Valuable Player awards. 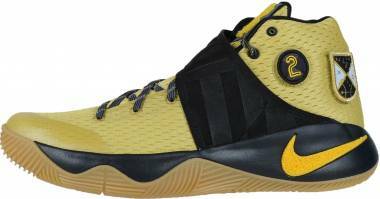 These white, black, and yellow basketball shoes feature a royal flush on the right insole. Air Jordan 4 Retro LS ‘Lightning.’ Part of the ‘Thunder and Lightning’ pack, the Air Jordan IV LS ‘Lightning’ features a flashy all-yellow upper with black detailing throughout. Air Jordan 5 Retro ‘Tokyo 23.’ In April 2011, Jordan Brand launched a special Air Jordan V to commemorate the opening of the Jordan Tokyo 23 online store. 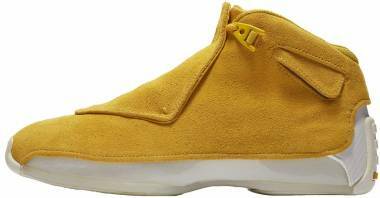 These yellow basketball shoes feature an all suede upper with clear accents and a 3M metallic tongue. Air Jordan 14 ‘Yellow Ferrari’ aka ‘Reverse Ferrari.’ Jordan Brand presents a fresh colorway of the Air Jordan XIV during the summer of 2019. A reverse of the ‘Ferrari’ colorway, the ‘Yellow Ferrari’ aka 'Reverse Ferrari' is dipped in bold yellow with a Ferrari-inspired shield logo on the ankle collar. 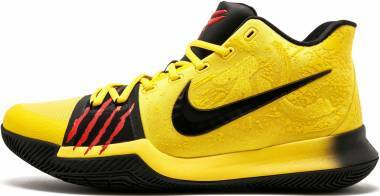 Red and black accents perfectly complement these yellow basketball shoes. Jordan CP3.IX ‘Yellow Dragon.’ These black and yellow basketball shoes are a nod to Chris Paul’s agility on the court and high basketball IQ. The ‘Yellow Dragon’ colorway of the Jordan CP3 9 made its debut in China last 2015. 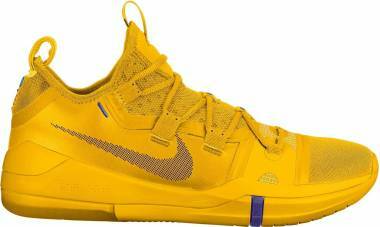 Nike Kobe AD NXT 360 ‘Yellow Strike’ aka ‘Lakers.’ The Nike Kobe AD NXT 360 ‘Yellow Strike’ features a Lakers-inspired theme. 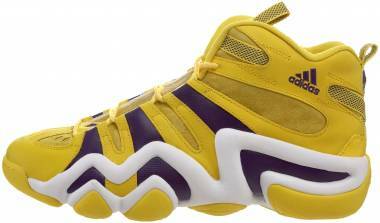 These purple and yellow basketball shoes are completed with the same red detailing seen on the ‘Mamba Day’ colorway. Nike LeBron 13 ‘Bumblebee.’ LeBron James broke out a pair of black and yellow basketball shoes during the Cleveland Cavaliers’ NBA media day in 2015. Dubbed ‘Bumblebee,’ this colorway features a yellow-based upper with black accents. The Nike LeBron 13 ‘Bumblebee’ was made available to the public via NIKEiD. 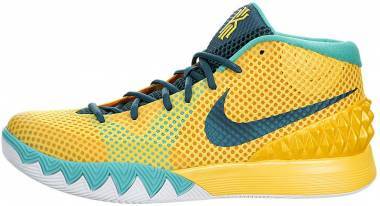 Nike Kyrie 4 ‘70s. Part of the ‘Decades’ Pack, the Nike Kyrie 4 ‘70s boasts a psychedelic print on the quarter panel as a nod to Kyrie Irving’s dance-like handles on the court. Nike PG2 ‘All-Star’ PE. Paul George was spotted wearing a brightly-colored PG2 during a practice session for the 2018 All-Star game. 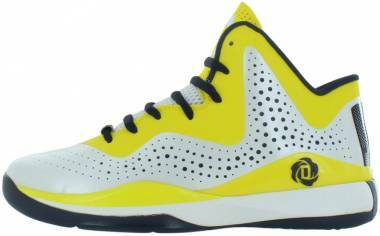 These yellow basketball shoes feature orange detailing and an icy translucent outsole. 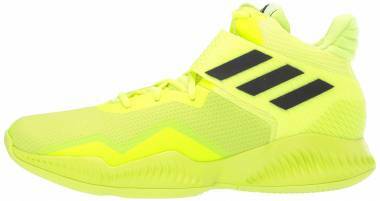 Adidas D Lillard 2 ‘Yellow Tape.’ Damian Lillard’s pre-draft workouts inspired the 'Yellow Tape' colorway of the D Lillard 2. Chris Farr, his trainer, used to rope off the court with yellow caution tape during Damian’s workouts. 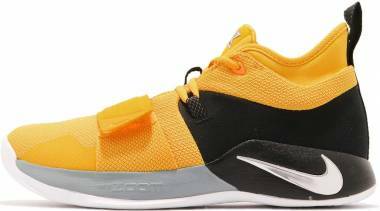 The Adidas D Lillard 2 ‘Yellow Tape’ features a black and yellow textile upper with the words “Do Not” and “Cross” written on each shoe. 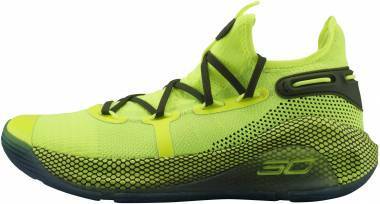 These neon yellow basketball shoes boasts a felt-like upper construction. Buyers could get these Damian Lillard basketball shoes exclusively from Foot Locker New York. Adidas Harden Vol.1 ‘Fear the Fork.’ James Harden pays tribute to Arizona State, his alma mater, with the ‘Fear the Fork’ colorway of the first signature Harden low-tops. “I decided to go to ASU, do my own thing and it was all work from there. That was the beginning of who I am as a man," James explained. “I could've left school after my freshman year, but I felt like I wasn't mature yet and had more growing up to do. Arizona State helped me, and I got to show my love and how much they mean to me." Under Armour Curry 4 Low ‘Dub Nation.’ During the NBA media day in 2017, Stephen Curry was spotted wearing a pair of UA Curry 4 Lows in the ‘Dub Nation’ colorway. The Under Armour Curry 4 Low ‘Dub Nation’ boasts a yellow knit upper with royal accents. Under Armour Curry 5 ‘Ring Night.’ Made by Stephen using the UA ICON platform, the Under Armour Curry 5 ‘Ring Night’ comes dressed in the team’s colors and boasts a graphic overlay. 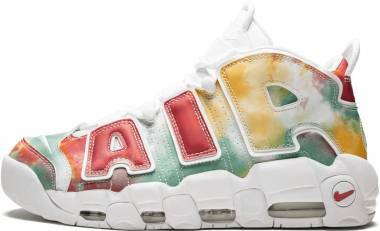 These blue and yellow basketball shoes make references to his children and his love for the Bay Area. 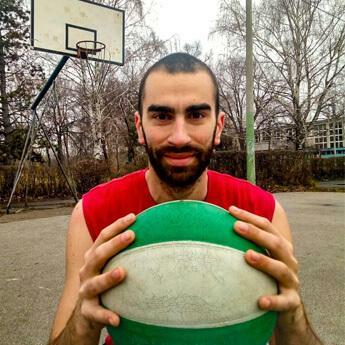 Anta KT 1 ‘73 Wins’ PE. To celebrate the Warriors’ record-breaking 73-win season, Anta crafted a commemorative pair of KT 1s for their signature athlete Klay Thompson. 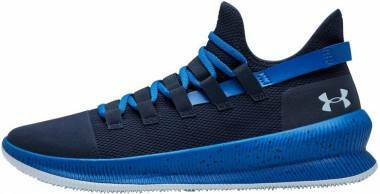 These royal blue and yellow basketball shoes feature a knitted upper with a fading speckled midsole and translucent outsole. Reebok Question ‘Unworn.’ Also known as the Reebok Question ‘All-Star,’ the ‘Unworn’ colorway was created to celebrate the 2000 All-Star festivities in Oakland. 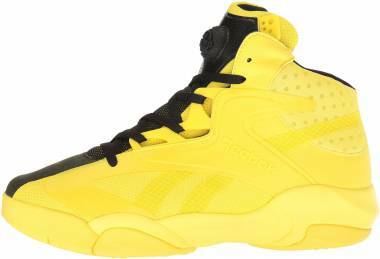 Allen Iverson was supposed to wear these yellow basketball shoes during the All-Star game; however, much to Reebok’s dismay, Iverson opted to wear a less flashy colorway. 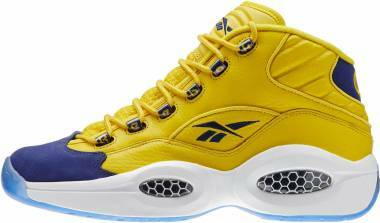 As a nod to the host city, the Reebok Question ‘All-Star’ aka ‘Unworn’ features a Warriors-inspired combination of yellow and royal. The brightest of all the colors, yellow grabs our attention in more ways than one. Yellow is the color of sunshine, happiness, and hope. On the other hand, it also represents cowardice, madness, and betrayal. Yellow is the color of the practical thinker. It resonates with the left/logical side of the brain. It relates to learning and acquired knowledge. It stimulates our mental faculties; inspiring thought, curiosity, and creativity. It gives us fresh ideas and helps us find new ways of doing things. It enhances the brain’s mental agility and perception. The color yellow is full of energy. It inspires optimism, joy, cheerfulness, and fun. It stimulates the nervous system; boosting our confidence and enthusiasm for life. It enhances vision, activates the mind, increases muscle energy, and encourages communication. Too much of the color yellow causes you to lose focus. It also causes people to become more demanding and critical. On the flip side, too little of the color yellow triggers feelings of fear, insecurity, and isolation. It causes people to become possessive, defensive, cunning, and rigid. The color yellow grabs our attention. When combined with black, it creates the easiest color combinations to see from long distances. This is the reason traffic signs, taxi cabs, and school buses are painted yellow and black.